As I've said previously, I rarely travel very far out of the city but rules are made to be broken. 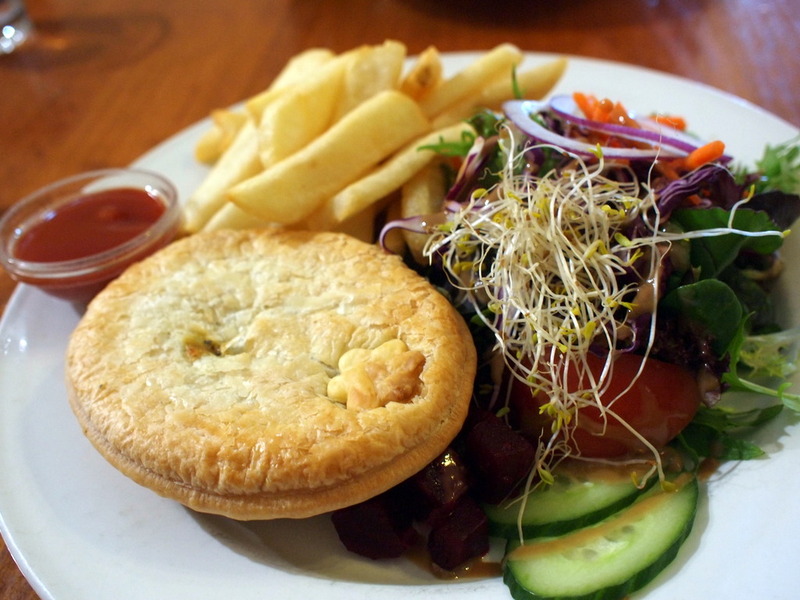 This particular trip was my first out to the Dandenong Ranges, so after a beautiful morning of sight-seeing, we were off to try what was reputed to the best pies in Melbourne. Pie in the Sky is a noisy yet homely little cafe that has a steady stream of what appeared to be both locals and tourists alike. The pie-menu was certainly diverse, with an additional range of pastries and sweets on offer, just to tempt you. That's only the take-away menu mind you - there's a few extra optional available for dining in, and the pies come with optional sides of chips and salad. With all that choice it took us a while to decide what we wanted. 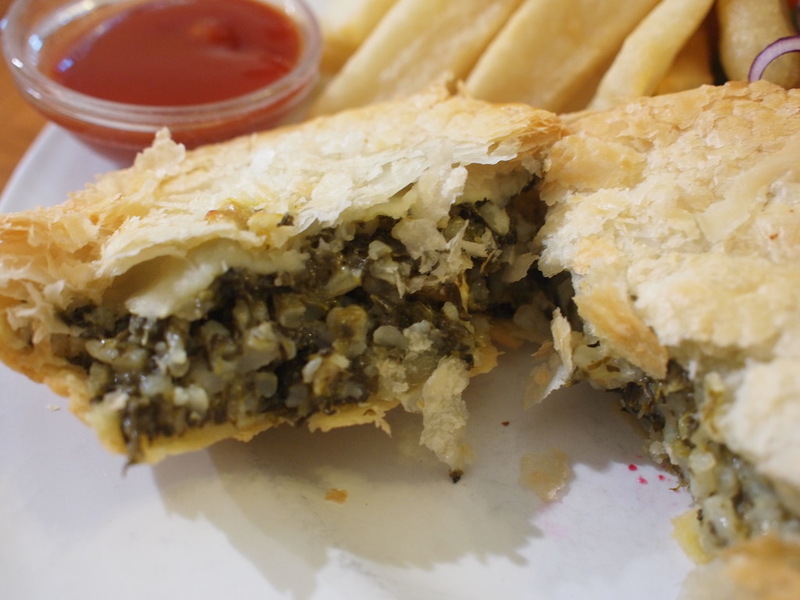 I wasn't particularly in the mood for meat as it turned out, so I settled on their award-winning Fetta pie - a combination spinach, cheese, rice and fetta. The pie wasn't especially spinach-y or cheese-y, which set it apart from most of the other vegetarian pies I've consumed in the past. The rice was certainly and interesting and tasty touch, and I didn't feel too guilty eating it (even though logically the pasty would have been butter-laden, but we'll ignore that). My companion, in somewhat of a nod to the city I grew up in, ordered a Beef & Burgundy Pie Floater. 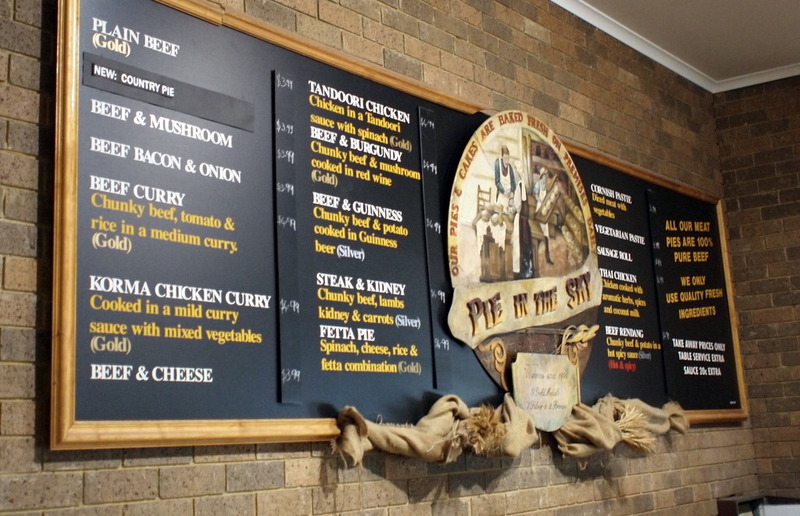 For those of you who weren't aware, the 'floater' refers to a pie in a soup of mashed peas and ham, and Adelaide is renowned for their pie floaters with a permanent pie cart set-up in the city center. When done well, the soup perfectly offsets the pie, enhancing its meatiness and soaking up some of the oiliness. 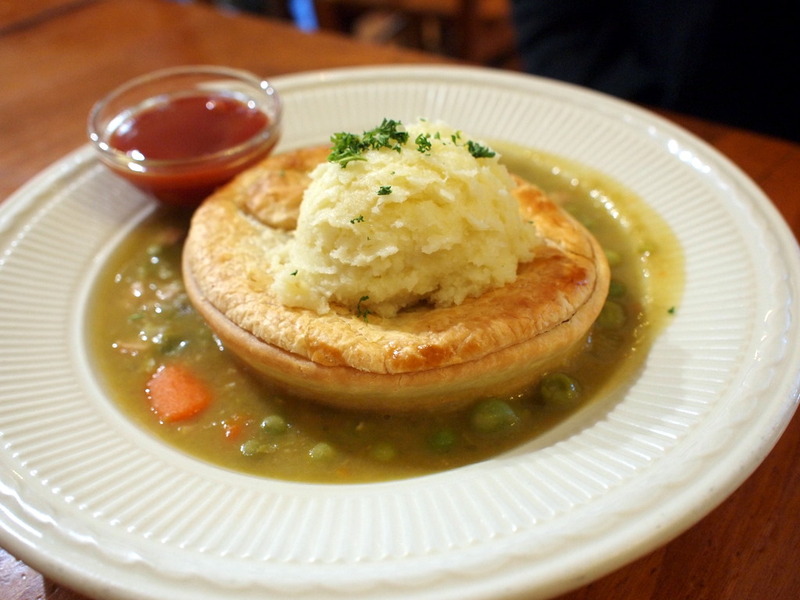 Unfortunately, this was not voted the best pie floater in Victoria by my companion, and in hindsight, he may have been better off getting just a regular pie. It was worth a try though, and the pie itself was deemed quite passable. It's a bit a trip just to get a decent pie, but if you're ever in the area and feel like something filling, you can't really go wrong with a pie.